Serving US Military Personnel since 2009, Military Loans Connection is the preferred choice for all active duty service members stationed at home or overseas. We understand the financial strain many of our customers are under. Simply put, the effort US soldiers, sailors and airmen make is not usually recognized with large paychecks. The strain of long deployments and the mounting pressure of a downward economy find many service members struggling to get ahead. We are located in Norfolk, VA, home to the world's largest Navy complex as well as major US Army and US Air Force bases. We are well situated to serve our customers both in person and electronically. Military Loans Connection can help with zero down payment loans, zero interest options and easy allotment or EFT payments. We service active or retired U.S. Army, Navy, Air Force, Marine, and Coast Guard personnel. Our loan amounts range from $1,000 to $10,000, and we have easy allotment or EFT payment plans to best suit your situation. At Military Loans Connection our multiple lending partners work to provide you the most competitive loan terms for the best finance deal to fit your individual needs. The customer team at Military Loans Connection is by far your biggest advantage in this process. We are way more than just a web site, our team is comprised of seasoned veterans, who are expert at helping each of our customers solve their issues and get what they want. We treat every customer with respect. You work hard for our country, we work hard for you. 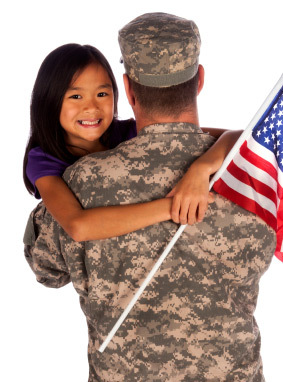 Military Loans Connection provides competitive rates and zero down payment. Responsive and Personalized service- your dedicated representative will stay with you throughout the process- and be there for you afterwards, should you have any questions or need additional service. Military Loans Connection voluntarily complies with both the 2007 Military Lending Act (MLA) and the FDIC recommended small-dollar loan guidelines. We are not a payday or short term lender.